Traditional pork schnitzel made with chicken and a potato crust! Oh yes, I have another schnitzel recipe to share. 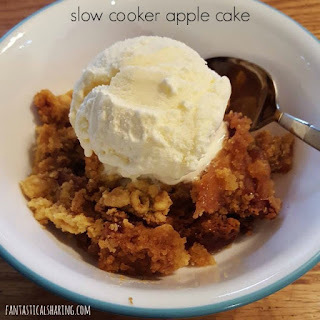 I think I have a few more to post after this one because we've had so many good recipes! This one was almost a fail. I have not quite figured out how to make notoriously stick-prone food in my stainless steel pans. I opt for my nonstick because it's just the safe way to go. I normally make my breadcrumb coated schnitzel in the stainless steel with no issues, but man alive, these potato-crusted chicken breasts wanted to stick so badly. Once I switched to my nonstick, all of the schnitzel turned out beautifully golden and crispy the way it should have in the beginning. It was definitely more of a labor of love than just doing bread crumbs, but totally worth it every once in a blue moon, for sure! 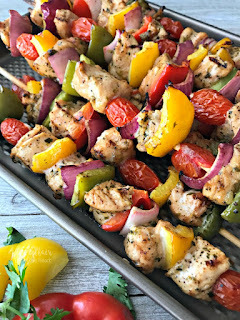 This meal is the perfect back-to-school recipe when you don't know if dinner is at 4:30 or 9 because of extracurricular activities! I'm back with yet another one pot meal. I loved when the blog world exploded with one pot recipes because, seriously, they are STAPLES during back-to-school and soccer season. There are so many meet-the-teacher meetings, open houses, grade level meetings, etc. along with soccer practices 3 to 4 times a week in the beginning of the school year. Dinners have got to be quick because who knows if we're eating right after school or right before bedtime, because we eat together as a family. Usually one of us parents take one of the kids to soccer and the other stays home to fix dinner. It's been working pretty well and I have to say, one pot meals are the way to go. This particular meal is a fantastic recipe that tastes like a bacon cheeseburger. And honestly, you can't beat pasta that tastes like a burger! An easy breakfast casserole full of cheese with a hint of Italian seasoning! When I was a child, I loved cottage cheese and ate it quite a bit. Then my stepdad said something about it being rotten milk and that pretty much ruined it for me. I cannot eat it on its own now. If you like cottage cheese, please don't let me ruin it for you. 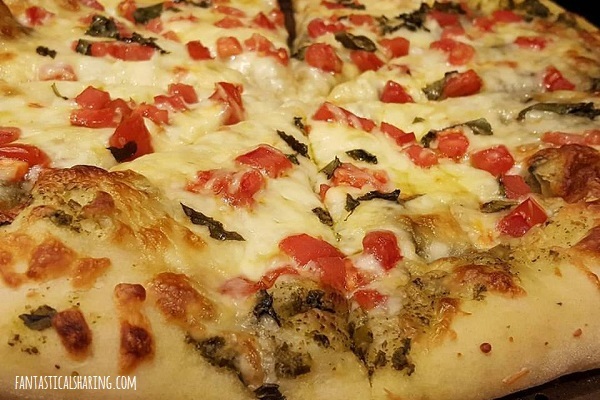 I'm fairly certain all cheese is made from an ingredient of when milk sours and cheese is DELISH! Anyways, I cannot eat cottage cheese on its own, but I still have no problem if it's in something. My favorite lasagna recipe uses cottage cheese instead of ricotta (which I have always disliked). 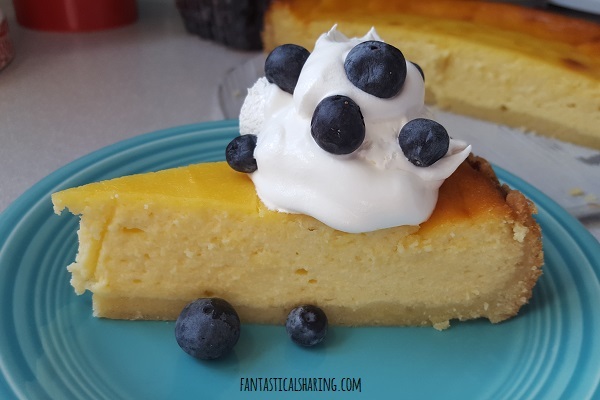 I was happy to try this egg casserole because I knew it would be pretty fantastic - and it was! 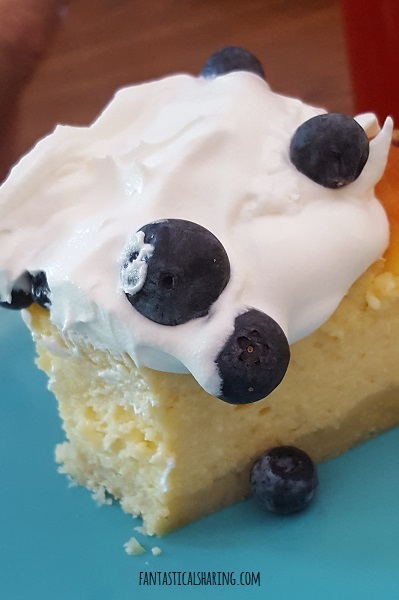 I need to share the recipe with my mom because I know she would love it and she's the only person I know in real life that loves cottage cheese. 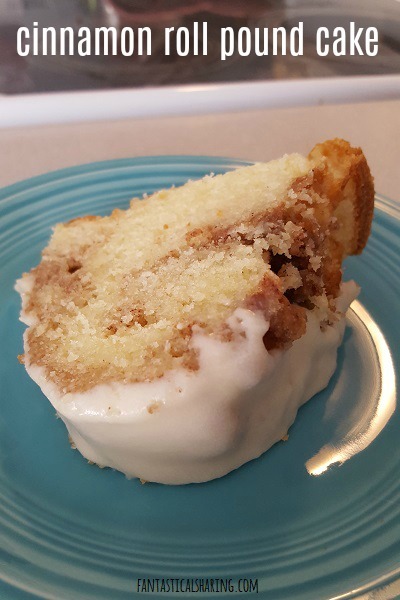 When you want a cinnamon roll, but don't feel like rising and rolling and filling and rolling, this pound cake is going to be your best friend! This pound cake is really just a bundt cake and it's one of the moistest, most delicious cakes out there. 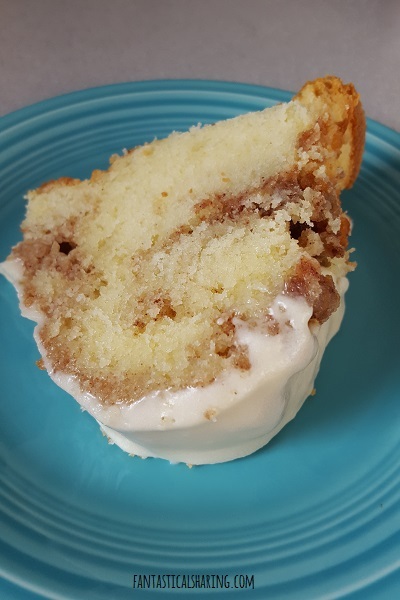 It's the best part of cinnamon rolls mixed with the best parts of a bundt cake together.I have made it twice now and my only complaint is a personal error where I don't grease my bundt pan enough and it sticks. However, it doesn't need to be pretty though because the frosting hides the imperfections and the cake's flavor speaks for itself. I am getting into such a good era of my blog where I really discovered so many new things that I didn't know I would love. Hello to this delicious THAI BANANA PUDDING that definitely found its way to my heart. It was so easy to make too. I also discovered how much I actually love lemon with recipes like this GRILLED CHICKEN AND LEMON BASIL PASTA one. I really had only had lemon bars when I was a kid and knew I hated those (still not a fan), but basil and lemon just belong together. These buns are perfect for hamburgers or dinner rolls - salty with a crunchy exterior! Pretzel buns are one of the very best things to ever grace the bread world. I love to especially make pretzel bread bowls for soup and chili (I've linked it at the bottom of the post if your interested), so I knew I would love having a pretzel bun for a cheeseburger. I was not disappointed. I would love these as dinner rolls for chili too and cannot wait to make Guberburgers with this salty bun! Quick stir frys are the best kind of dinners to use up some fresh veggies! I was so excited to try this stir fry because I am used to stir frys being broccoli, carrots, and bell peppers. I rarely see squash in them and that made me such a happy camper. I love squash. I will happily eat all the squash and all the recipes with squash. This recipe is especially wonderful because the honey garlic sauce is mouthwateringly good! It's the perfect balance of salty and sweet and savory to compliment the veggies and chicken. The best thing, of course, about stir frys is that they are quick. 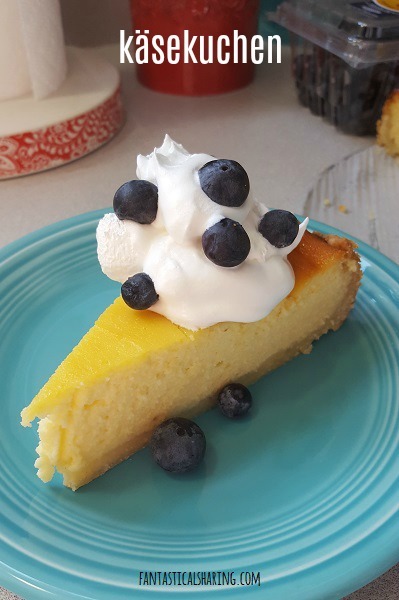 This one can be made in under 30 minutes! This week in particular is like all my favorite foods in one. I am so so excited for all these foods. There is no link for Tuesday because we're kind of going to wing it. I hope you all have a week of great food ahead of you too! A hearty and fantastic slow cooker recipe with a kick - perfect for "Taco Tuesday"
I adore chicken and rice crockpot meals. I feel like even with the little time the rice spends in the crockpot, it just soaks up all that slow cooked goodness that the crockpot makes. This particular recipe has Rotel to add some kick plus a chipotle pepper, which adds some nice smokiness with an added kick. I don't always make tacos for Taco Tuesday and I love to switch up proteins from week to week, so this one is part of our permanent meal rotation for sure! This month's Fantastical Food Fight theme is JULIA CHILD. Why is that? Because it's Julia Child's birthday today. I thought it would be super fun to open up the recipes quite a bit to celebrate this wonderful lady. As you can tell by my title...my recipe was a fail. I had it in my mind that I was going to make Julia's hollandaise sauce. 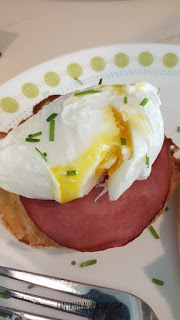 I have never had hollandaise and really wanted to make it. I recently made macarons and they were super nerve-wracking, so I thought hollandaise should be a cinch if I made macarons successfully. I was absolutely wrong. I messed up three times and then tried to make the hollandaise in a blender...and still messed it up. 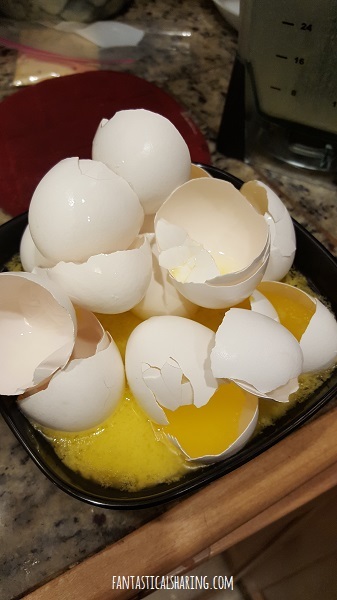 I wasted a dozen eggs and a whole pound of butter. My kitchen was so greasy. I also was so flustered that I left my poached eggs in longer than I was going to (4 1/2 minutes instead of 3 1/2 minutes), so they were overcooked. 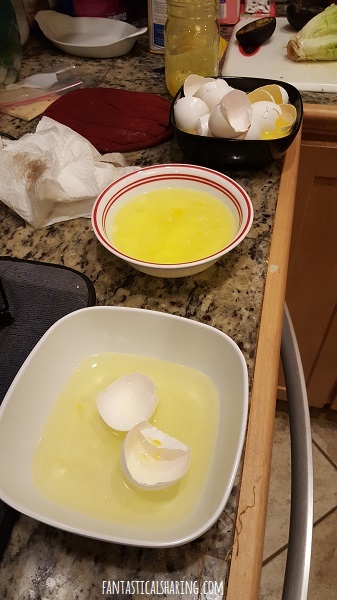 All the egg whites...my third broken hollandaise...the egg/broken sauce graveyard. 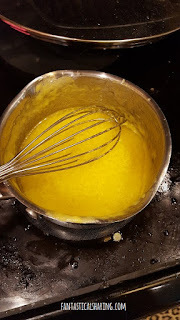 If you haven't made hollandaise, you take egg yolks and add butter to them (with lemon juice and cayenne) and it's this really rich wonderful sauce. But the method is very tricky. Most that I have seen, you do it over a double boiler. Because if it gets too hot, you'll cook your egg yolks and have scrambled eggs. 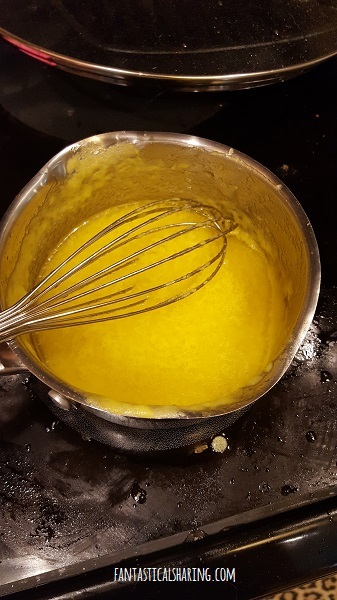 If you don't whisk enough or add too much butter, you'll have a separated mixture, which is referred to as "the sauce breaking". This was my issue. The first time I was super close. I whisked my little heart out and counted 15 seconds on the heat and 15 off the heat. The second time, I thought maybe while adding my hot butter, I was supposed to take it off the heat completely (WRONG). The third time, I forgot my second pat of cold butter before adding the hot butter. It was honestly the most frustrating thing I've ever done in my life. I don't like not being good at something, so this was infuriating. I will attempt it again because I'm determined to nail it. I think instead of doing it directly in the saucepan (or the blender which didn't work because I don't have the right blender for it), I will attempt it over a double boiler. I'm sorry, Julia! I may attempt your recipe once again...one day, but I am definitely going to have to recover from the fiasco first. You may be wondering...Sarah, why didn't you just make another Julia recipe? Well, my overly confident self didn't plan ahead and waited until the weekend before to make my recipe expecting success :P That's what I get haha. I cannot wait to see what everyone else made to honor Julia Child today. And Happy Birthday, Julia! These bars are the perfect treat for any time of year, but especially back to school! Another week is here and it is also the first full week of school for my big kids. I expect soccer will be starting soon, so September's meals are going to be quicker during the weekdays for sure. Trying out some new quick recipes this week. AND doing a little belated Harry Potter's birthday celebration with some butterbeer cupcakes!